December 12th at 7:30 p.m. 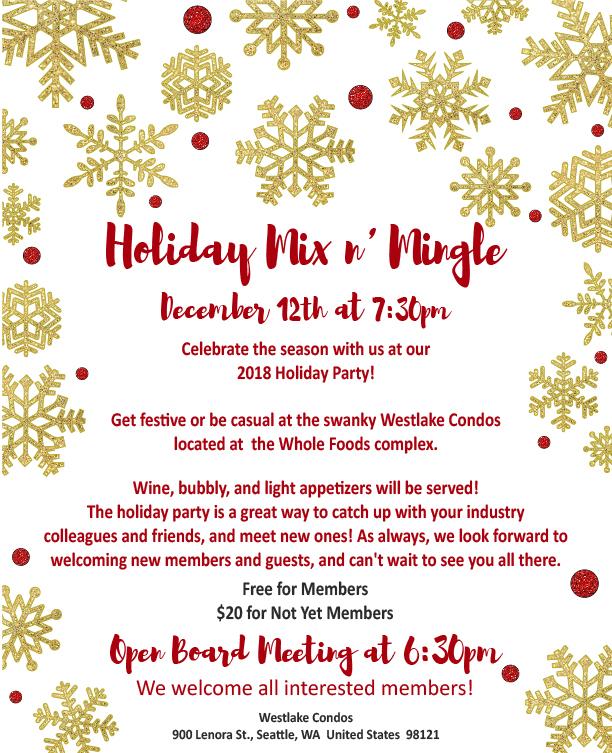 Celebrate the season with us at our 2018 Holiday Party! Get festive or be casual at the swanky Westlake Condos located at the Whole Foods complex. Wine, bubbly, and light appetizers will be served! The holiday party is a great way to catch up with your industry colleagues and friends, and meet new ones! As always, we look forward to welcoming new members and guests, and can't wait to see you all there. This special event is free for our members, as a way of saying thank you! for your support and participation in our chapter this year!